A 3D biomechanical model of the tongue is presented here. Its goal is to evaluate the speech control model. This model was designed considering three constraints: speech movement speed, tongue movements and tongue soft tissue mechanical properties. A model of the tongue has thus been introduced taking into account the non linear biomechanical behavior of its soft tissues in a large deformation analysis. Preliminary results showed that the finite element model is able to simulate the main movements of the tongue during speech data. 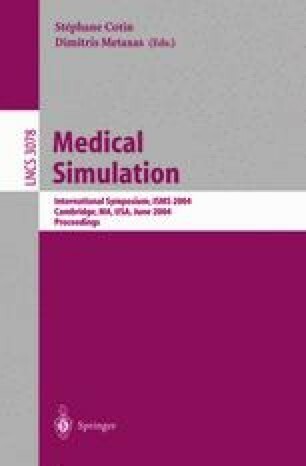 It seems that the model may be used in the estimation of glossectomy impacts on patient speak and on different surgery approaches.